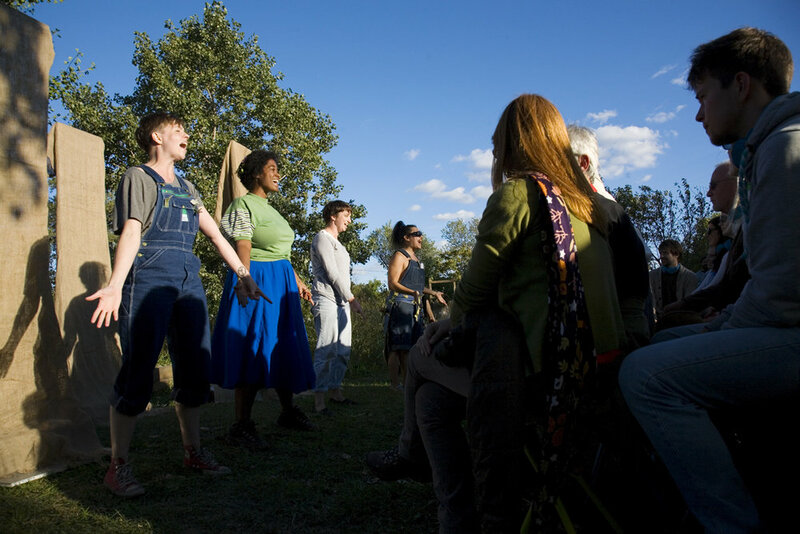 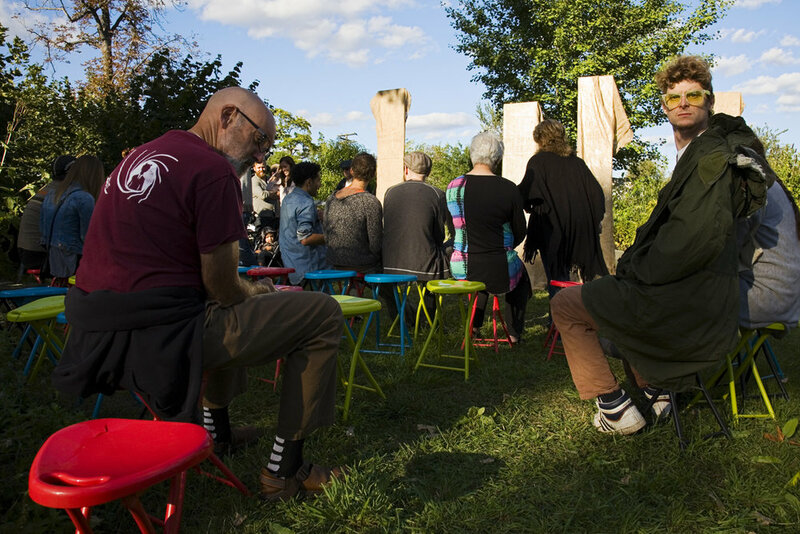 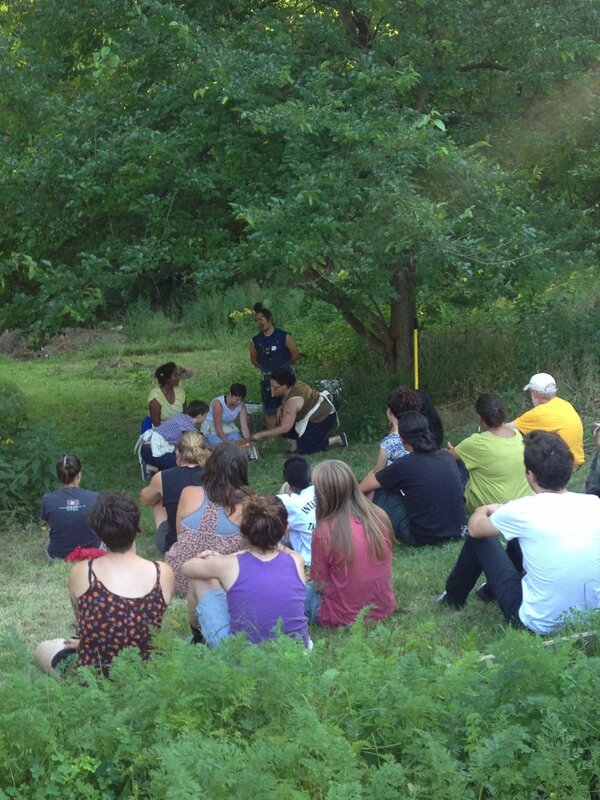 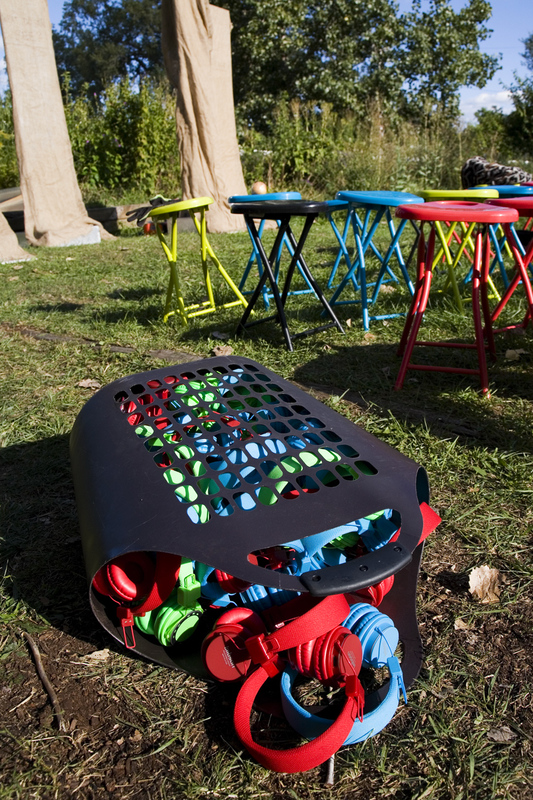 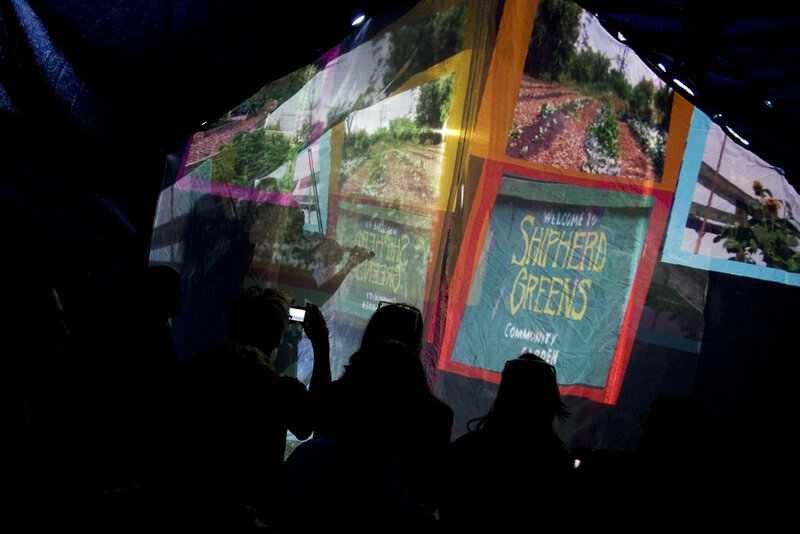 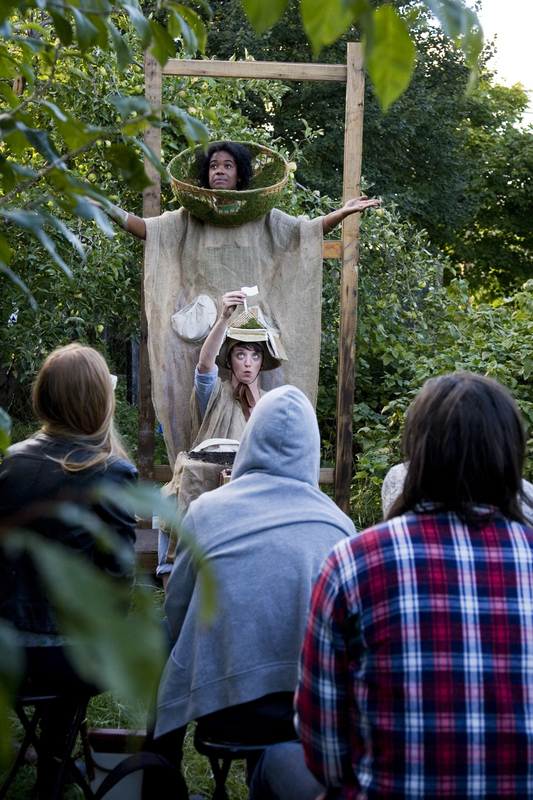 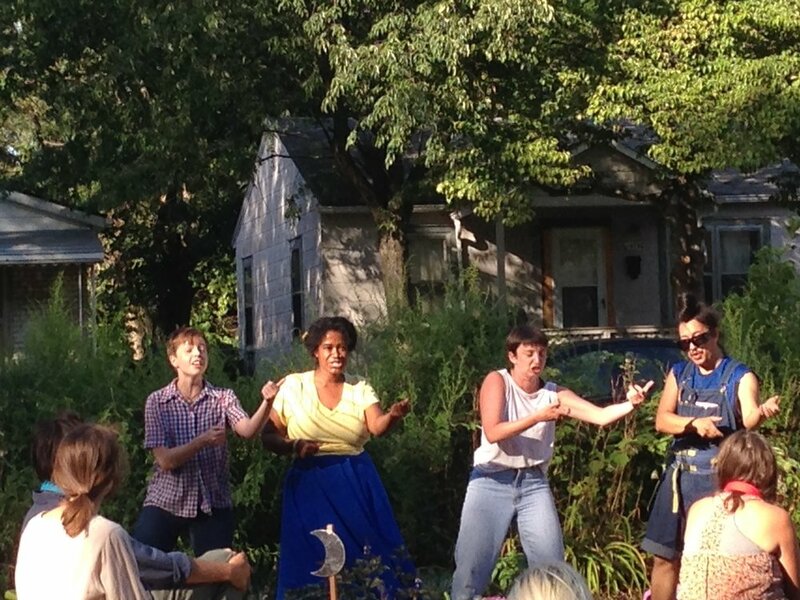 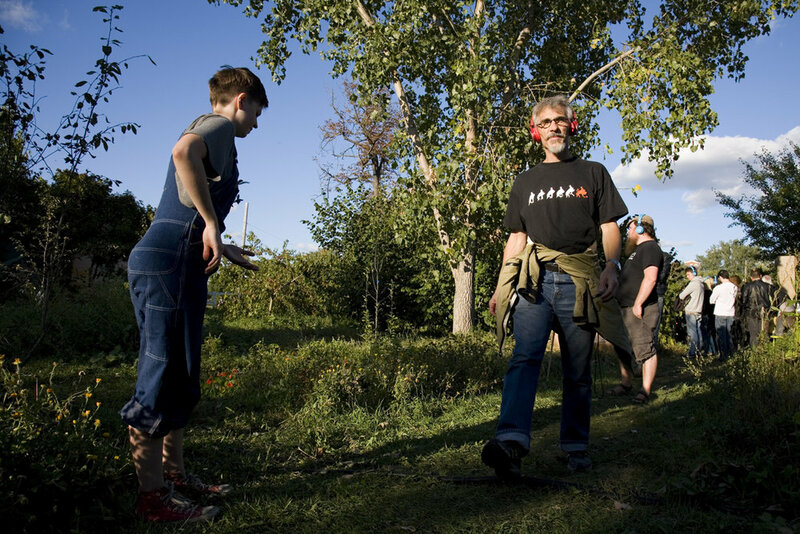 The Harrowing is a site responsive, immersive theatre piece created in collaboration with eight community gardens in Detroit. 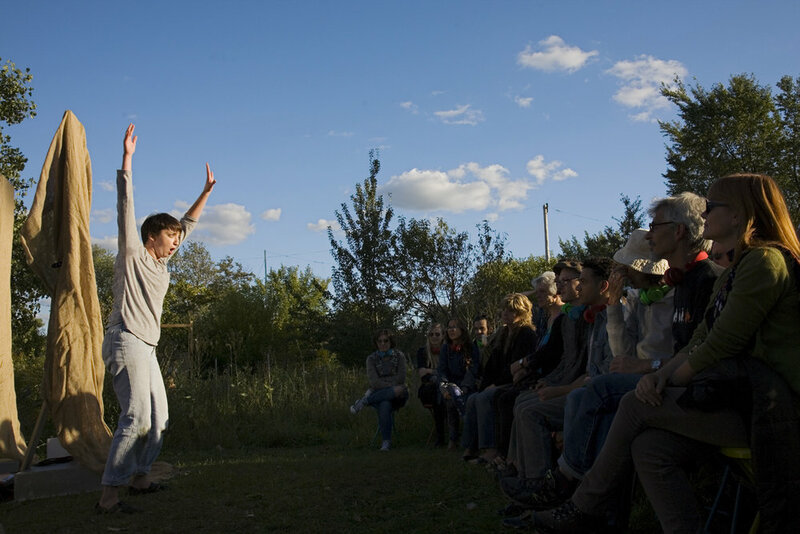 The work puts A Host of People's process of making a performance together with the process of tilling the soil and engages not only with the physical site of the gardens but with the work done there. 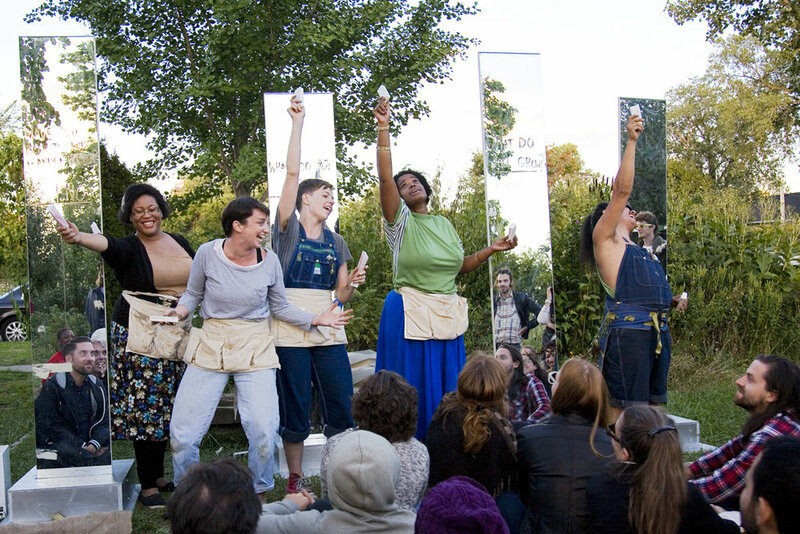 The Harrowing is a performance collage that mixes texts from disparate sources (including interviews with local gardeners) together with movement inspired by the labor of gardening, and music, sound, and ideas generated during our interaction with these eight very different community gardens.